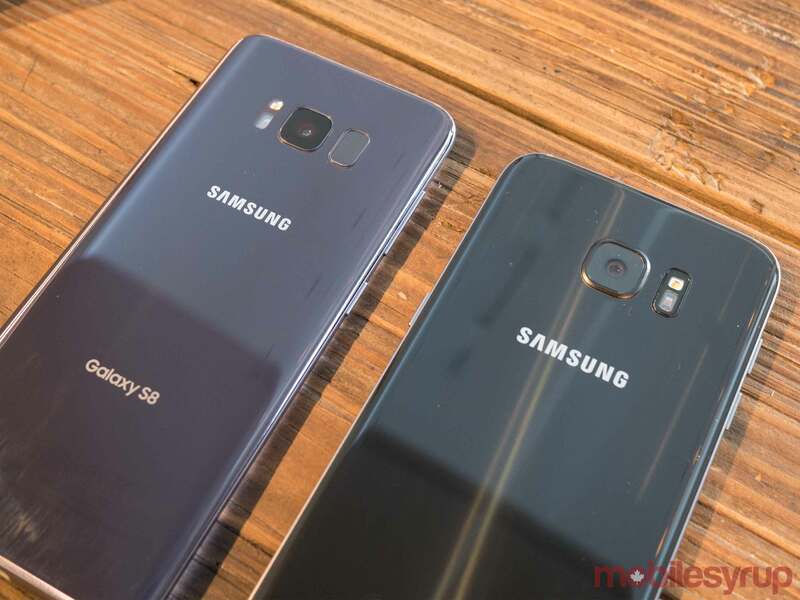 With the Note 7 turning into a disaster of epic proportions for Samsung, the South Korean tech giant — which is synonymous with the term ‘Android Phone’ for many consumers — has a lot riding on the release of the Galaxy S8 and S8+ in terms of re-instilling consumer confidence in its devices. Regardless of how impressive the S8 is, it’s going to be difficult for the tech giant to shake the burn of the Note 7 in the minds of many, though Samsung’s latest smartphones are undeniably stellar offerings. 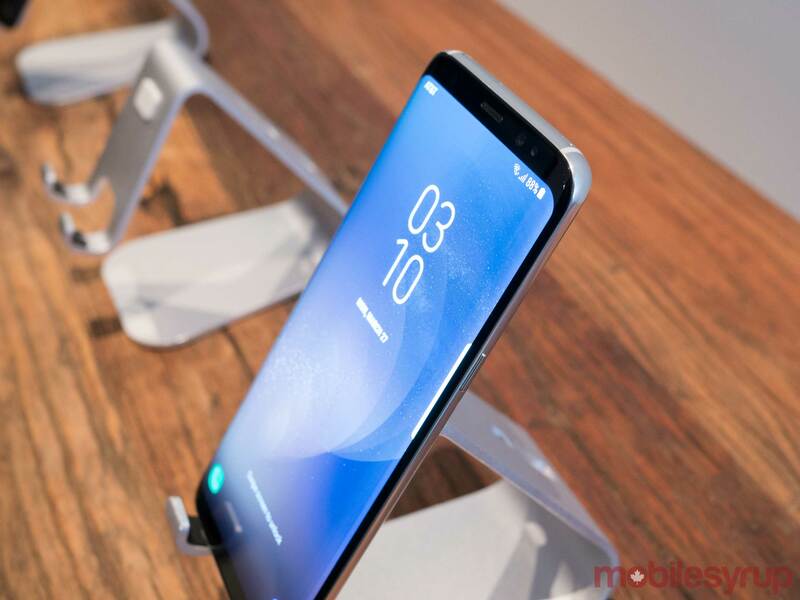 First, let’s get the specs out of the way: the S8 and S8+ feature 2960 x 1440 pixel 5.8-inch and 6.2-inch display respectively, ditching the more curved sides of S7 Edge and instead opting for curved Gorilla Glass 5 on the front and the back of both devices. It’s worth noting that due to the S8+’s larger display, it features a 529ppi screen, whereas the S8 comes equipped with 570ppi glass. 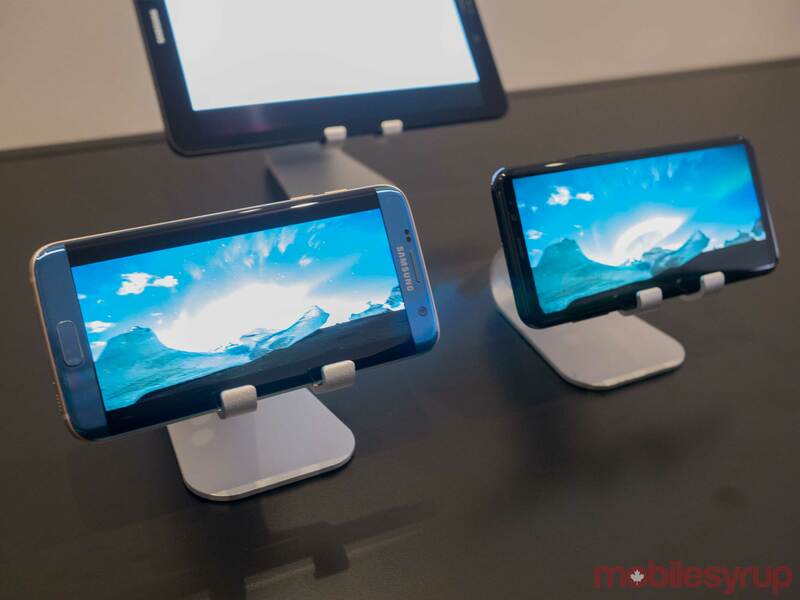 Both devices, however, feature displays with identical resolutions. 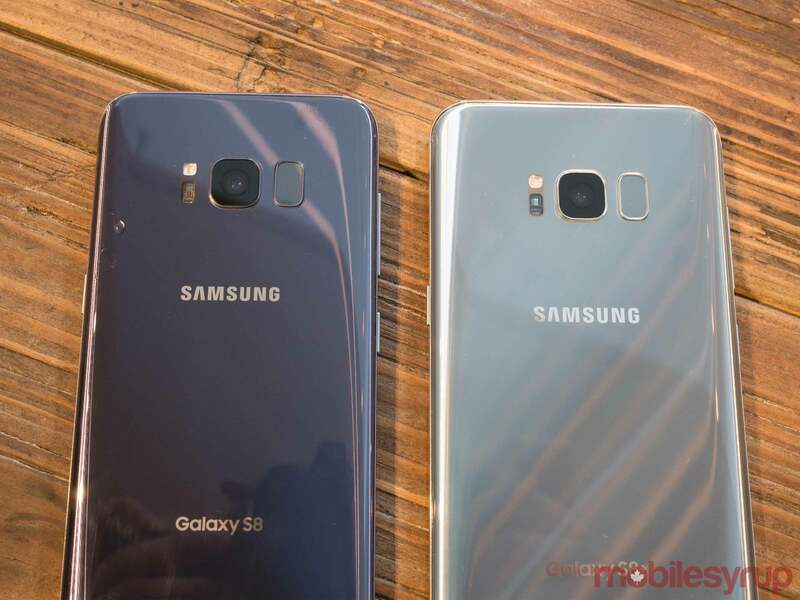 The phones also come equipped with Qualcomm’s latest Snapdragon processor, the Snapdragon 835, unlike last year’s S7 and S7 Edge, which featured Samsung’s proprietary Exynos 8890 silicon. Depending on how much you care about benchmarks and on which side of the Exnyos vs. Snapdragon argument you fell on last year, this could end up being an issue. In comparison, LG’s G6 features the Snapdragon 821, giving Samsung’s latest flagship offering an advantage in the processor department when compared to some flagships. 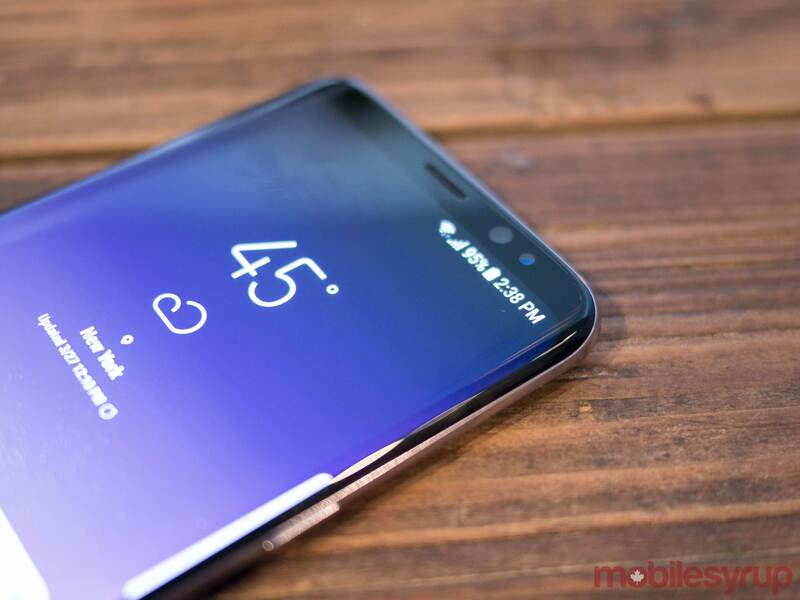 The phone also features a sizeable 4GB of RAM and 64GB of storage (specific storage of the S8 in Canada is still unconfirmed), expandable through a microSD card up to 256GB. As for technical specifications, the main difference between the S8 and the S8+ beyond size is that the former features a 3,000mAh battery and the latter has a 3,500mAh power source. It’s unclear right now what the battery life difference is between both new flagships, but given the S8+ features the same resolution as the S8, it’s likely the length is very similar. Just like last year’s S7 and S7 Edge, the S8 and S8+ are IP68 water resistance, a positive for anyone who tends to be accident prone like myself. Both phones also come equipped with wireless charging. In terms of camera performance, Samsung has updated the S8’s front shooter to 8-megapixels, but this time with autofocus as well. 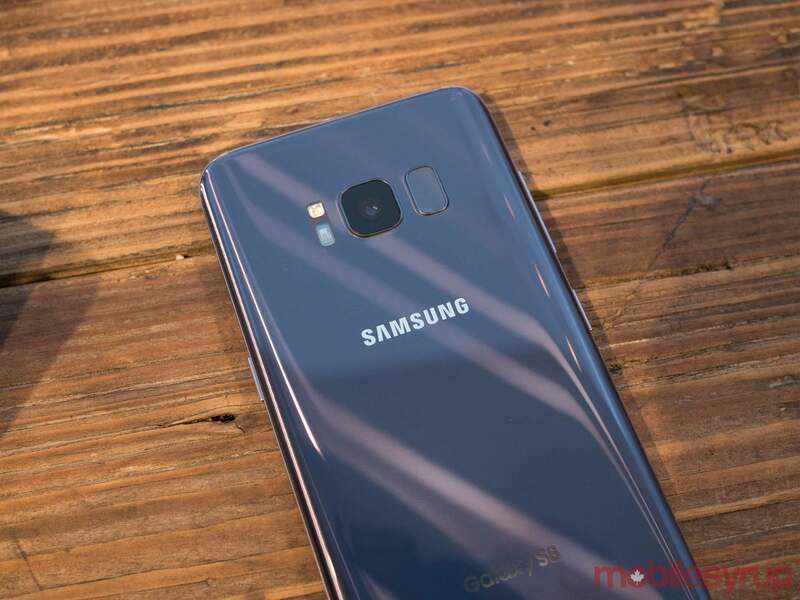 The S8 and S8+’s rear camera, however, remains at 12-megapixels like the S7 and S7 Edge, though Samsung says it’s improved the processing that goes on behind the scenes on the device resulting in greater image quality. I tested out the S8’s front and back camera briefly during my hands-on time with the phone and it snapped photos that looked on par with the S7’s stellar camera. 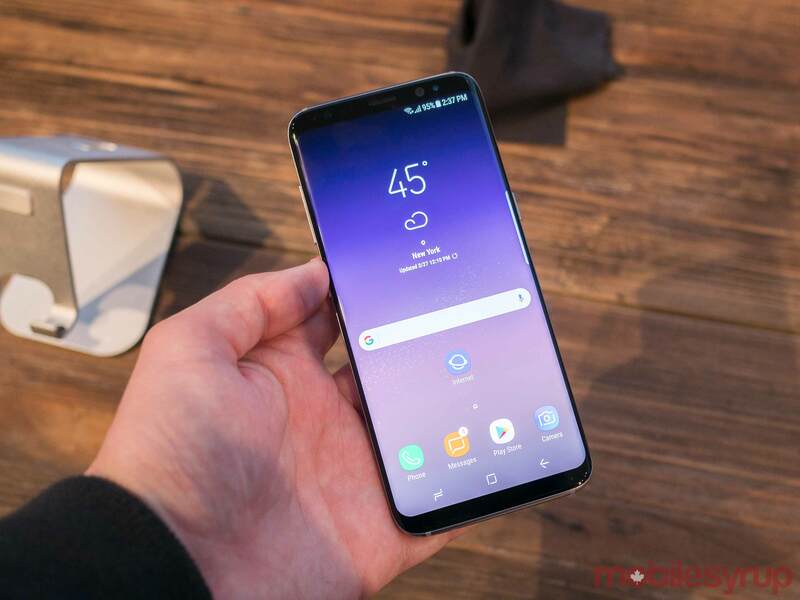 Spending more time with the S8’s shooter is definitely still necessary before passing final judgment, however, but my initial impressions are resoundingly positive. With the launch of the S8, Samsung is also entering the virtual assistant game with Bixby, its own proprietary virtual assistant. While I watched a demonstration of Bixby in action and was impressed with the virtual assistant’s ability to visually recognize objects, I unfortunately wasn’t able to go hands-on with it. For an example of the feature, a representative from Samsung shot a photo of a Red Bull and energy drinks, including Red Bull products, instantly appeared within the assistant’s search screen. 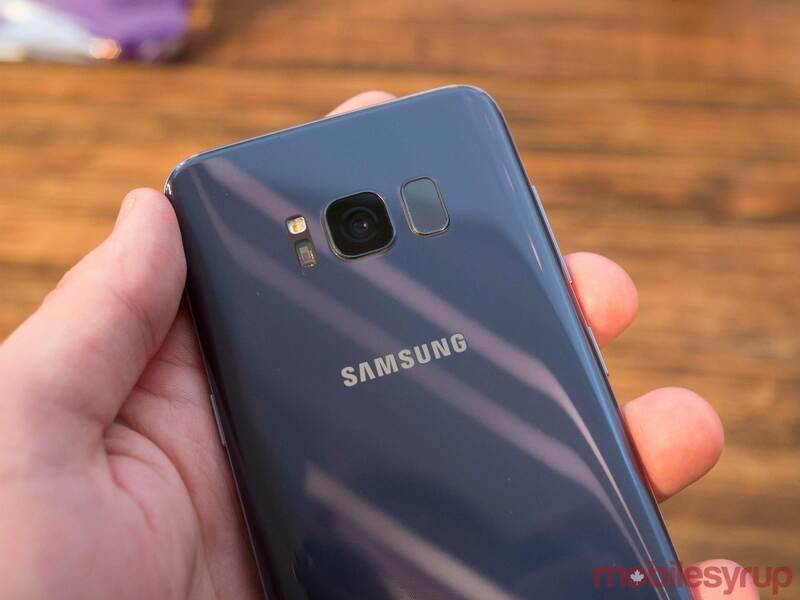 A colleague from another publication also said that Bixby was amusingly able to recognize the iPhone 7 when snapping photos of Apple’s smartphone. Bixby also seems capable of Google Assistant contextual search. For example, if you ask the assistant about a specific actor or actress, it will then automatically know who you’re still talking about if you inquire with a follow-up question about specific films. Another example shown involved a Samsung rep telling Bixby to send the last photo they took of their wife, with the assistant following-up by asking who their wife is. Purely on paper, however, Bixby’s mix of Google Assistant and Google image graph search, as well as Apple’s Siri and Amazon’s Alexa, is impressive if Samsung’s lofty claims are accurate. My concern is that while Bixby may be capable this functionality, it may not be great at any single category. Bixby’s current lack of third-party support could pose an issue for the platform as well, despite the fact that Samsung says it has plans to add outside app integration in the future. 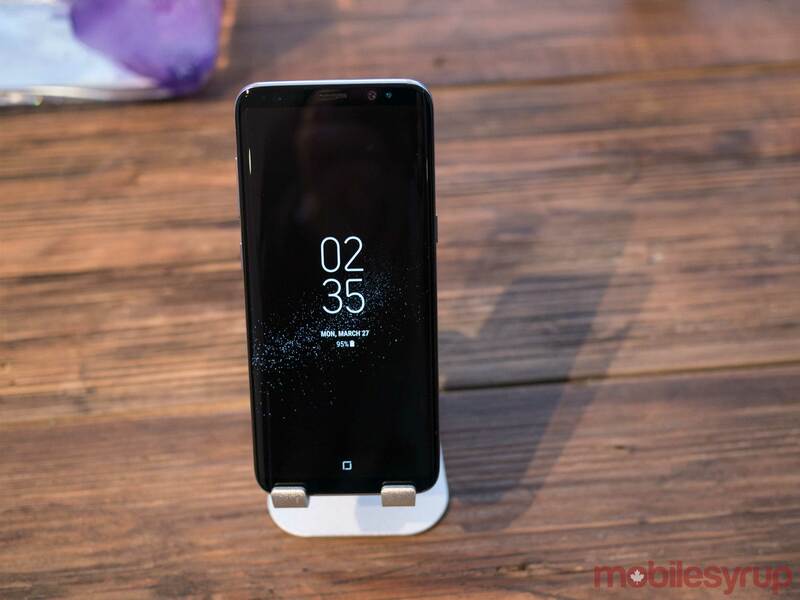 Samsung also briefly showed off a new docking system set to launch with the S8 and S8+ called DeX, allowing the phone to connect to any HDMI monitor and expand into a “full-screen Android experience.” Again, like many features I saw during my briefing regarding Samsung’s new flagship smartphone, DeX is an impressive experiment, especially if it delivers on its promise. It is, however, important to note that we’ve seen this in the past with Windows 10’s Continuum and even Motorola’s ill-fated Moto Blur, both with a varying degree of success (mostly failure on Motorola’s part). The layout of DeX connected devices resembles Windows 10 and Samsung says all of its proprietary apps will expand to user-interfaces designed for larger monitors. Microsoft also plans to support DeX with its Office suite in the near future and the company says it’s likely that Adobe will update its mobile apps in the near future with that functionality as well. It’s yet to be seen if the S8 and S8+ really have the power to push a full-screen desktop experience that’s reliable and worth using, but the demonstration of the new docking system by a Samsung representative showed promise. In many ways, the S8 visually resembles a combination of the S7 and the Note 7 thanks to its rounded edges and all-around curved display, though it’s the phone’s bezel-less ‘Infinity Display’ that makes it stand out from other flagships. The LG G6, arguably Samsung’s main competitor in the high-end Android space, features a similarly minimized bezel. Another notable element of the devices is that they don’t feature a home button. Samsung instead opts for a haptic iPhone 7-like non-physical input. While I wasn’t fond of the S8’s new home button at first, it quickly grew on me, similar to what happened with the iPhone 7’s home button last year. The rear fingerprint scanner, a first for Samsung, is responsive but oddly placed. Unlike other devices like the Google Pixel, LG G6 and even the Nexus 6P and 5X, the S8’s fingerprint sensor sits beside its camera, making it awkward to access. All in, I’m very fond of the overall look and feel of the S8. The phone gives off the impression of a high-quality, high-end smartphone and builds on the foundation Samsung created with the S7 and S7 Edge last year. Those expecting a complete design overhaul, however, will be disappointed with the Galaxy S8. While the Infinity Display does give the phone a unique look, its glossy, fingerprint magnet Gorilla Glass 5 body is still very similar to the S7’s. If you weren’t a fan of the S7 and were hoping for a return to the S6’s boxy style, you won’t be fond of the S8 or the S8+ either. 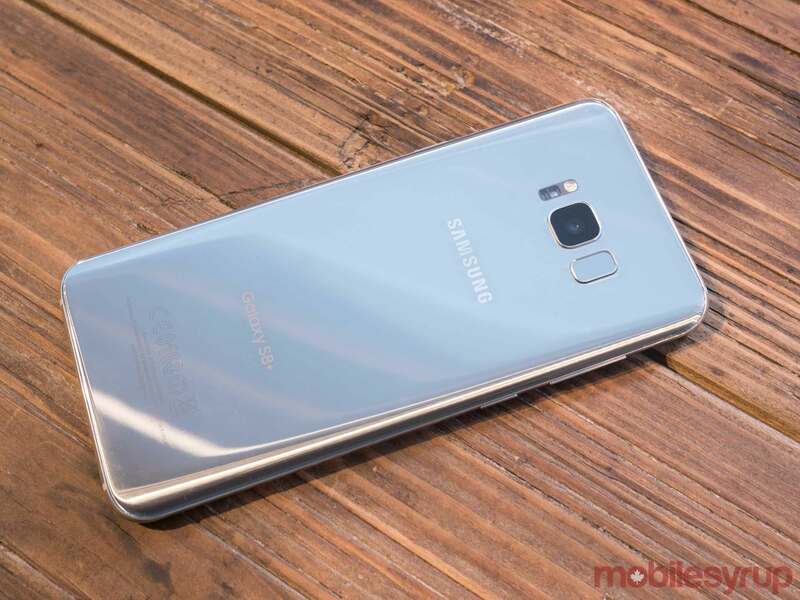 In Canada the S8 is set to start at $1,035 CAD with the S8+ costing $1,115. Specific carrier pricing still hasn’t been revealed. The phone is available in Midnight Black and Orchid Gray in Canada. 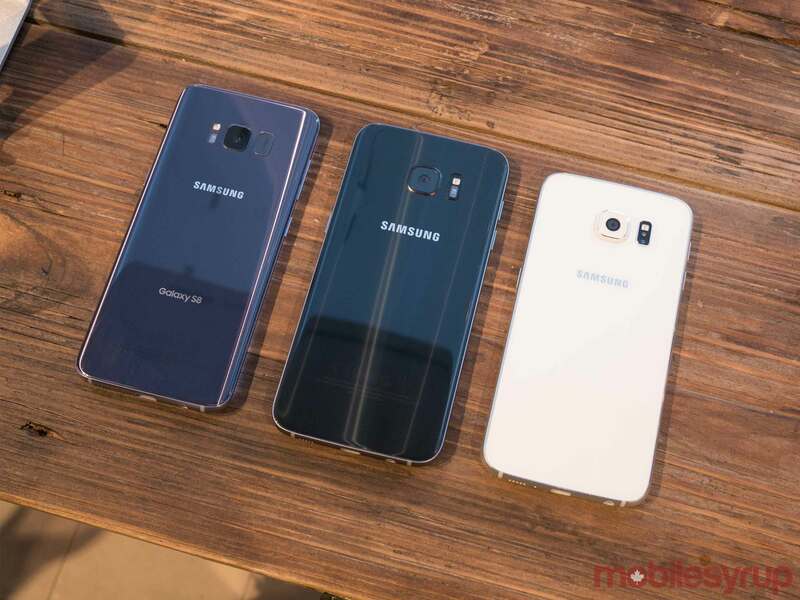 Maple Gold, Tactic Silver and Coral Blue, along with Midnight Black and Orchid Gray colour variants will be available in the U.S. and other markets. We’ll have more on the Samsung Galaxy S8 and S8+ in the coming weeks, including a full review.